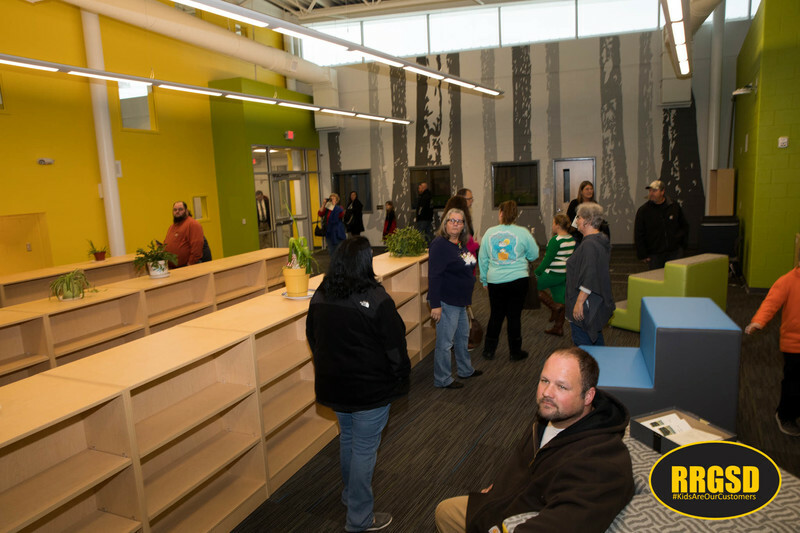 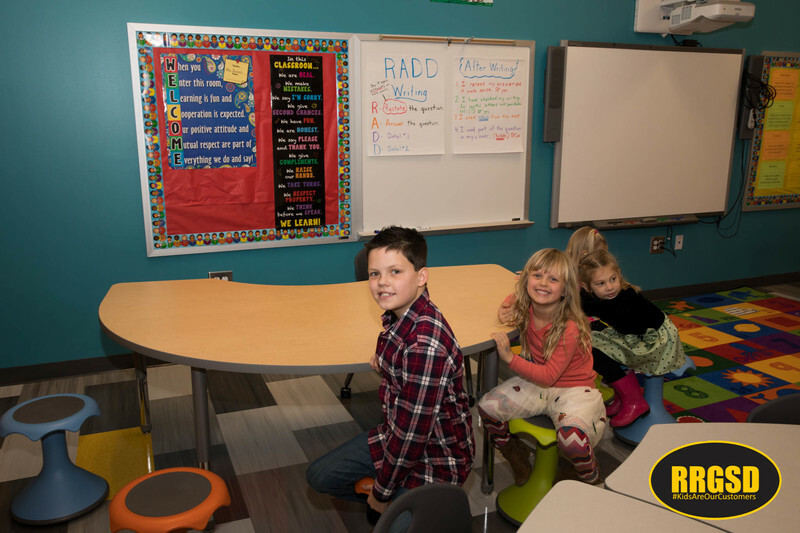 When students first enter the new Manning Elementary Jan 2 they’ll be met with some excited teachers, bright, colorful walls and an open-air concept with lots of natural light designed to excite them about learning. 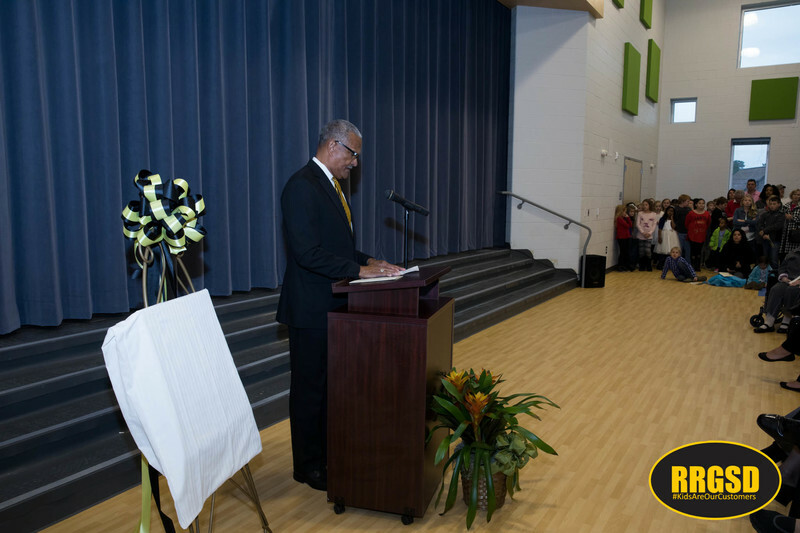 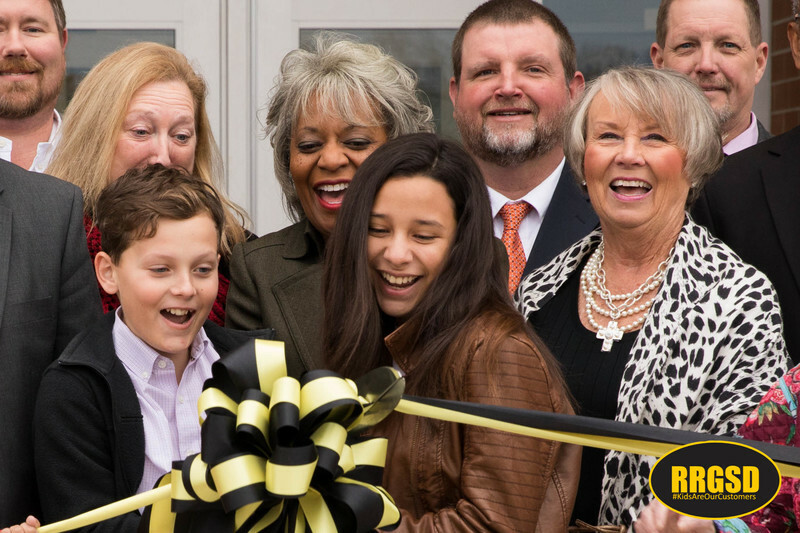 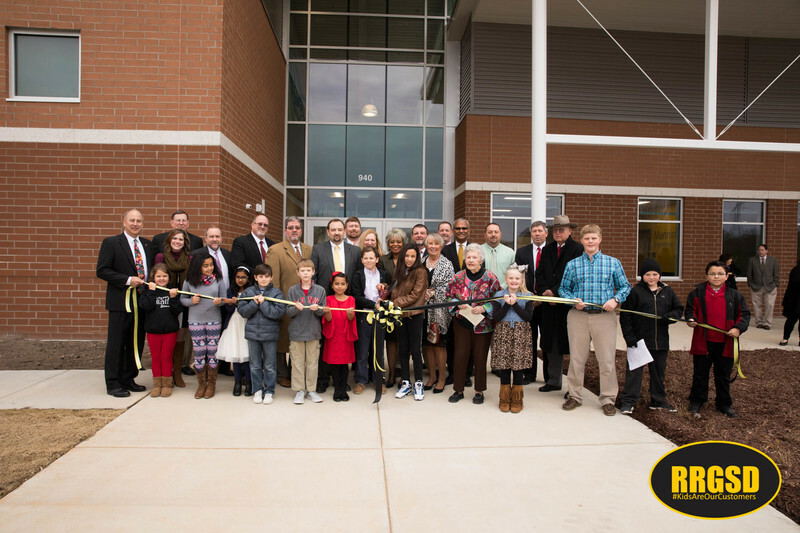 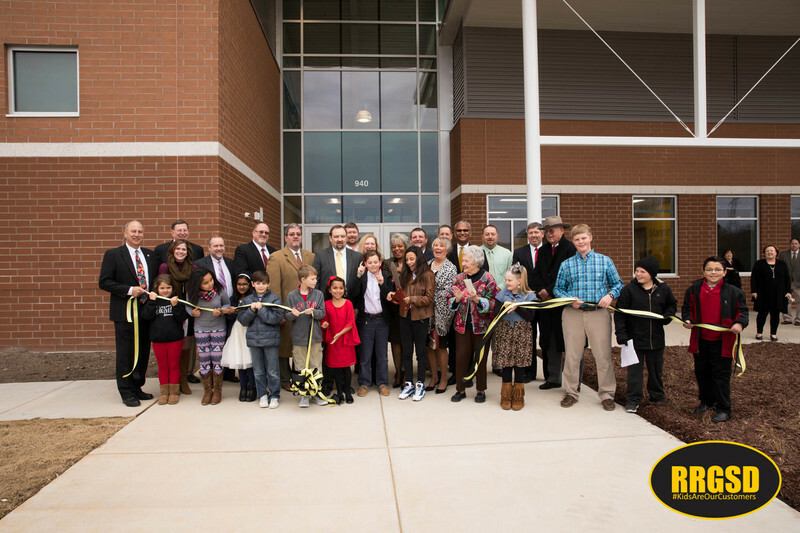 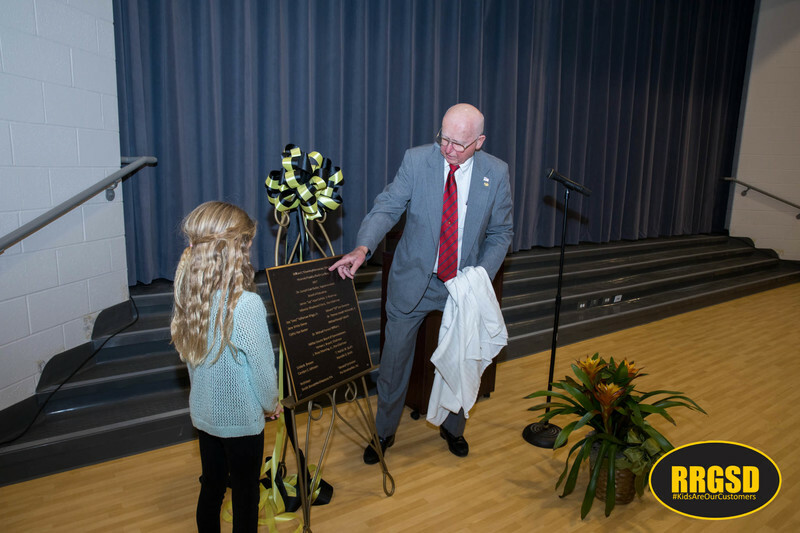 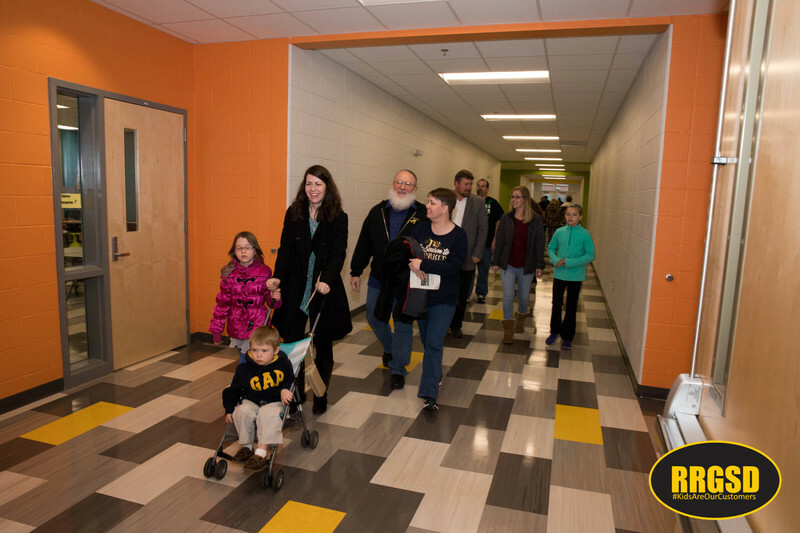 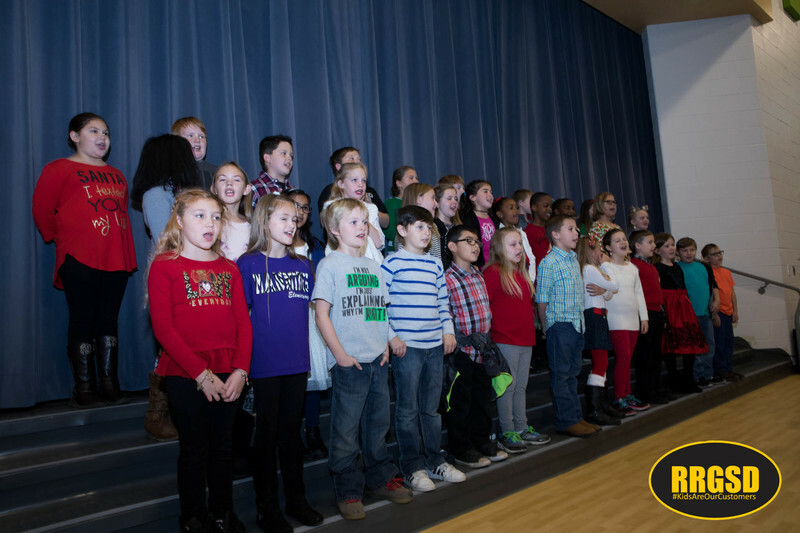 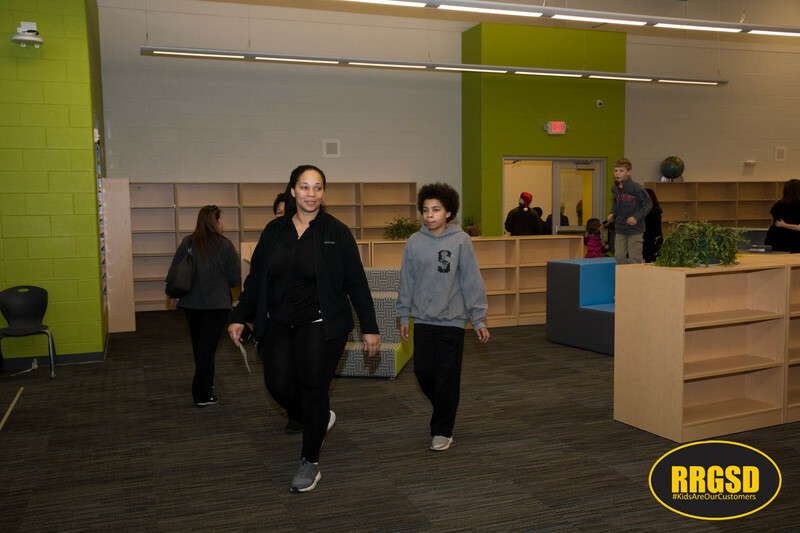 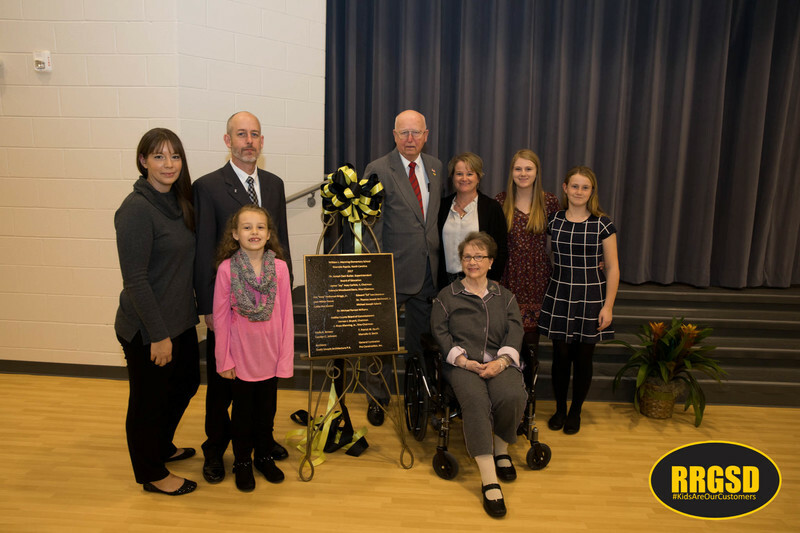 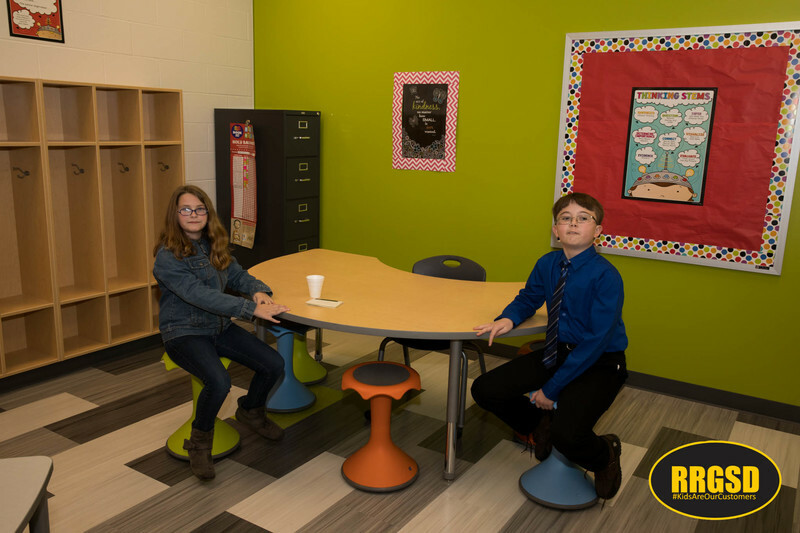 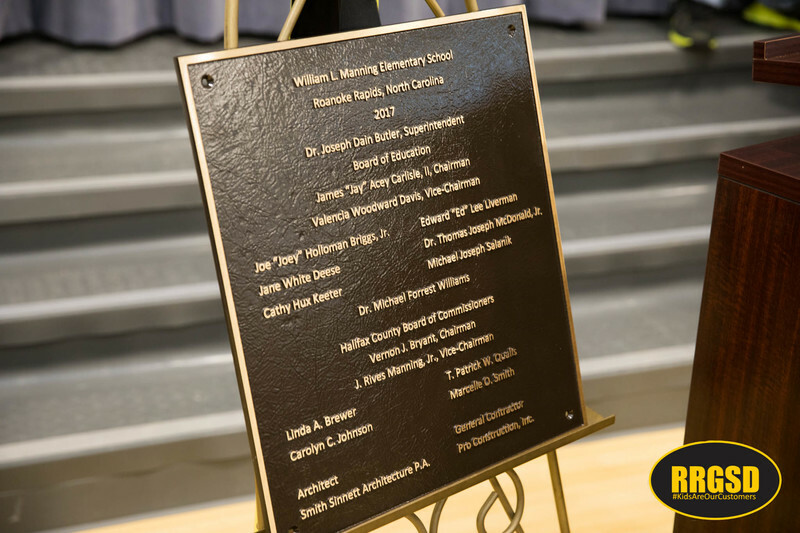 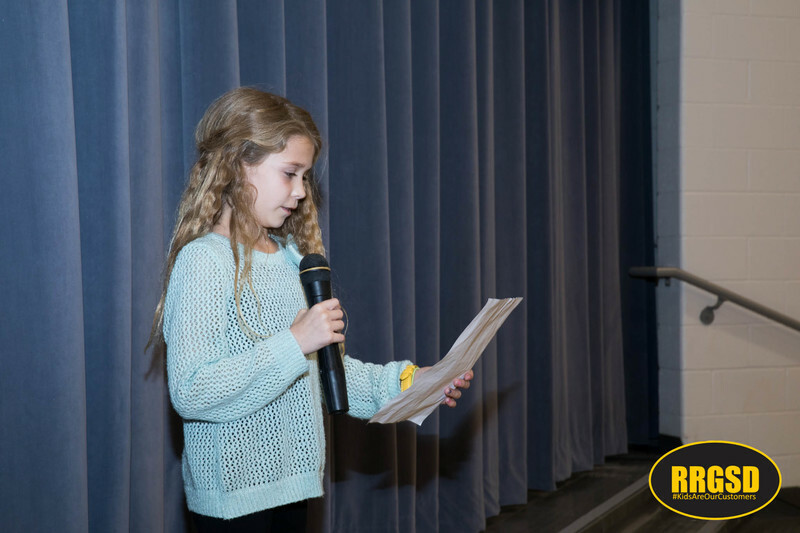 The Roanoke Rapids Graded School District hosted a ribbon cutting and dedication ceremony Sunday afternoon followed by tours of the new school. 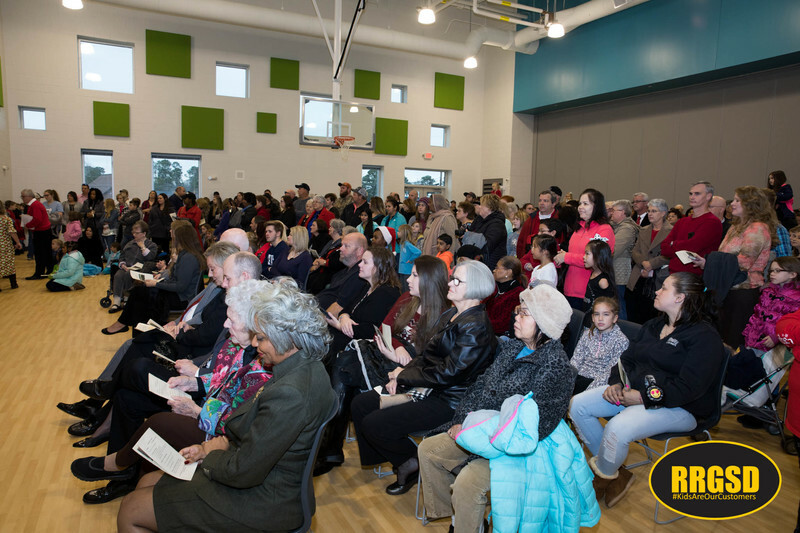 Hundred of parents and students attended. 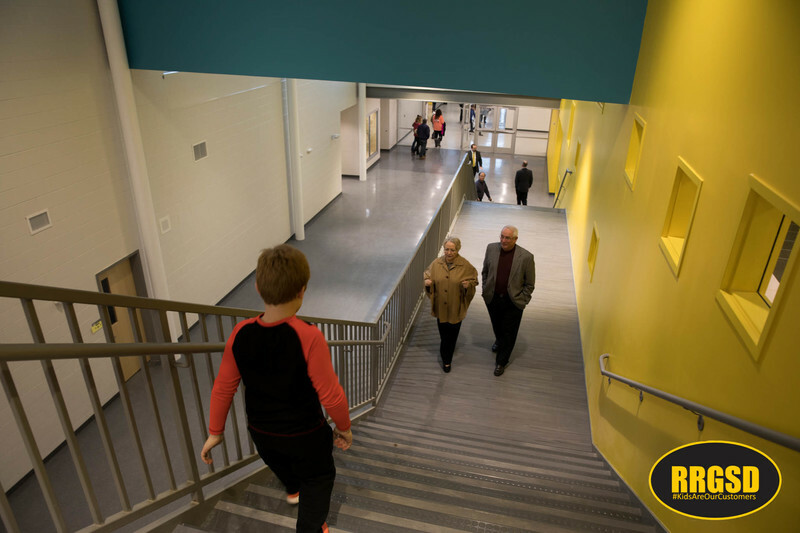 “I’ve watched it being built as I dropped my daughter off at school each day. 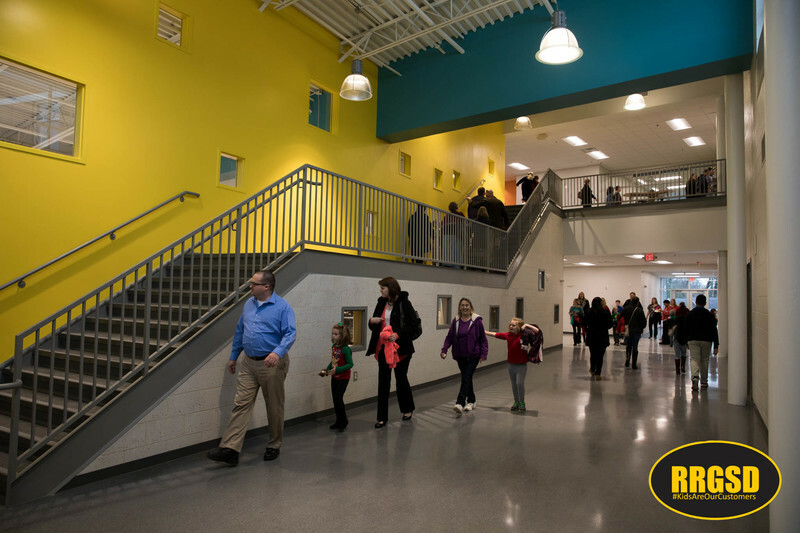 It’s hard to believe it is finally opening,” said parent David Magana. 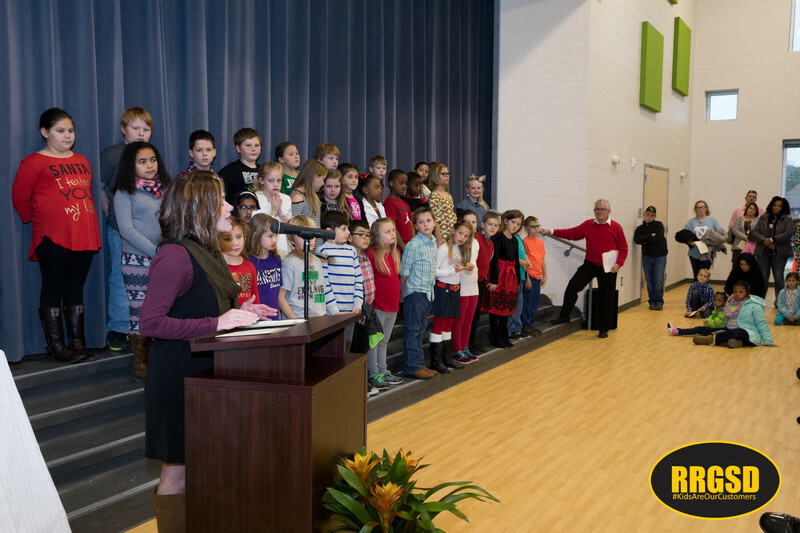 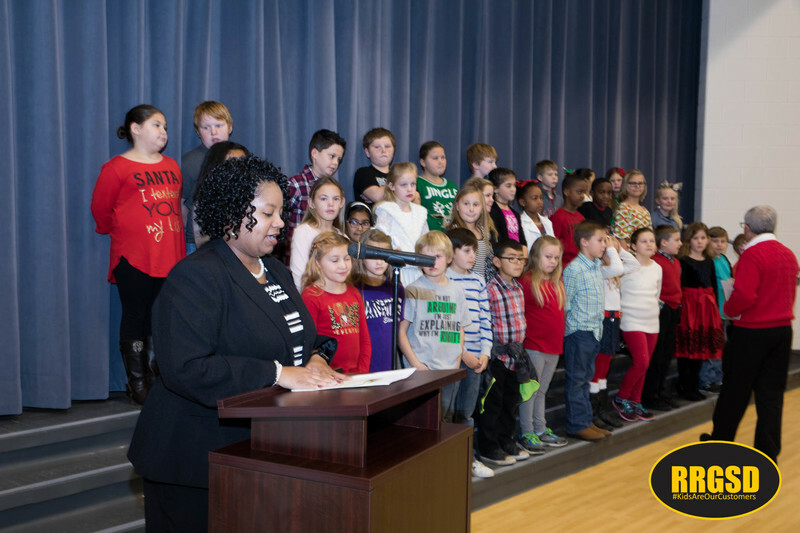 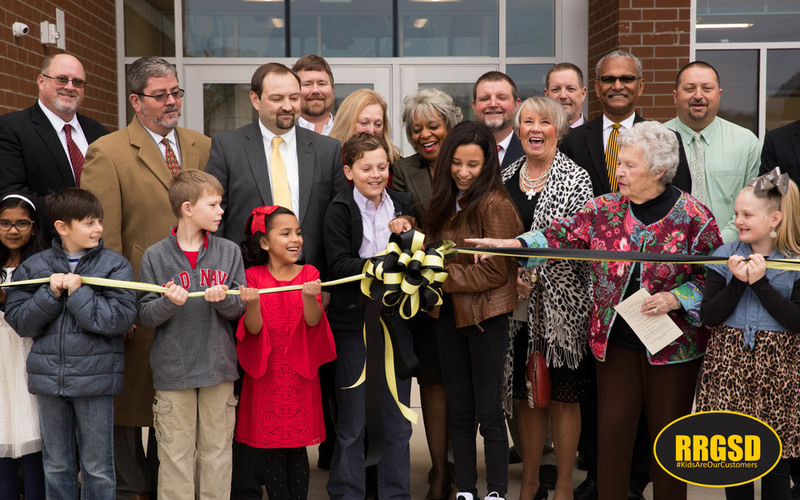 Students Brianna Mabrey and Connor Williams cut the ribbon while student representatives from each grade, members of the RRGSD Board of Trustees, administrators, and Halifax County Commissioners looked on. 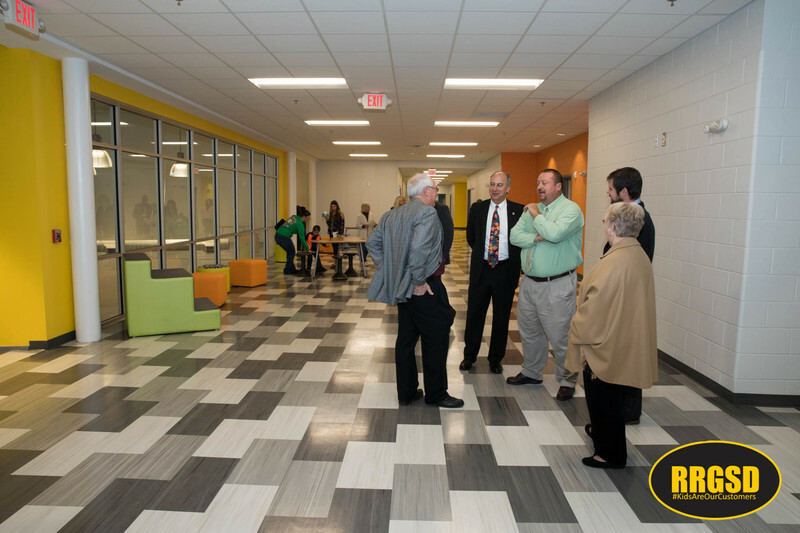 “This project has been years in the making. 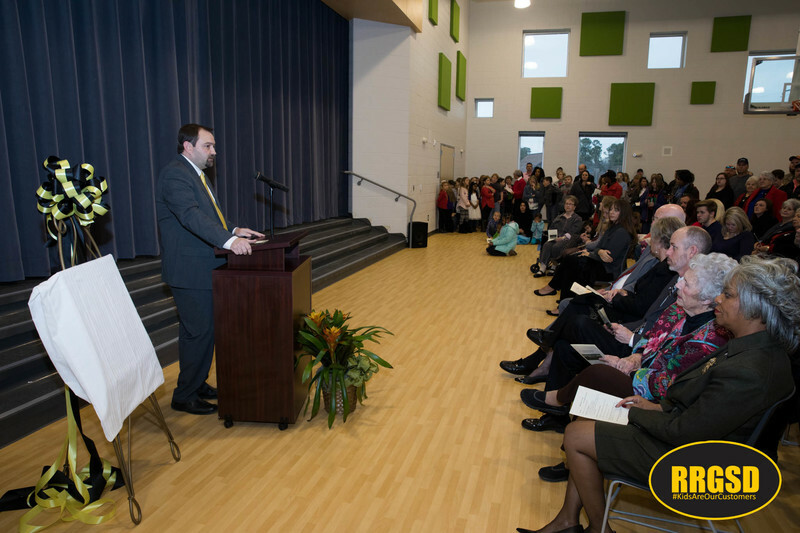 It’s an exciting day for our staff, students and parents, and this community. 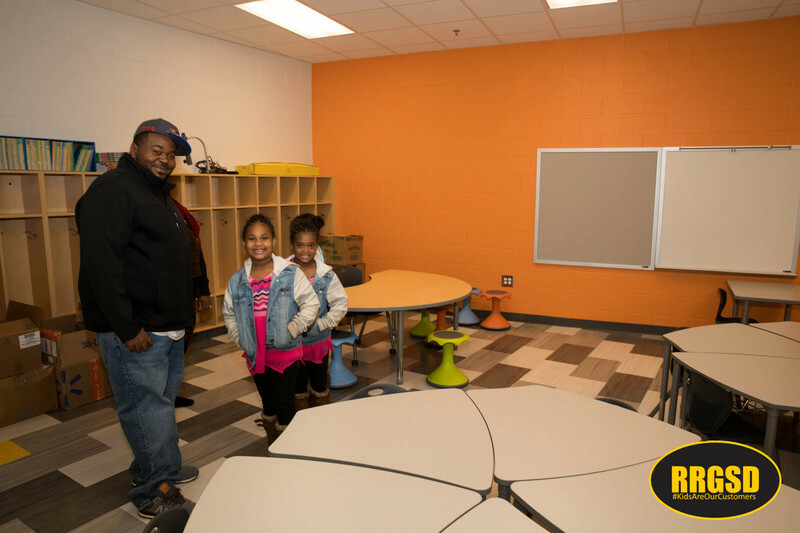 Everything is brand new and just gorgeous,” said Lauren Hinnant, Manning Principal. 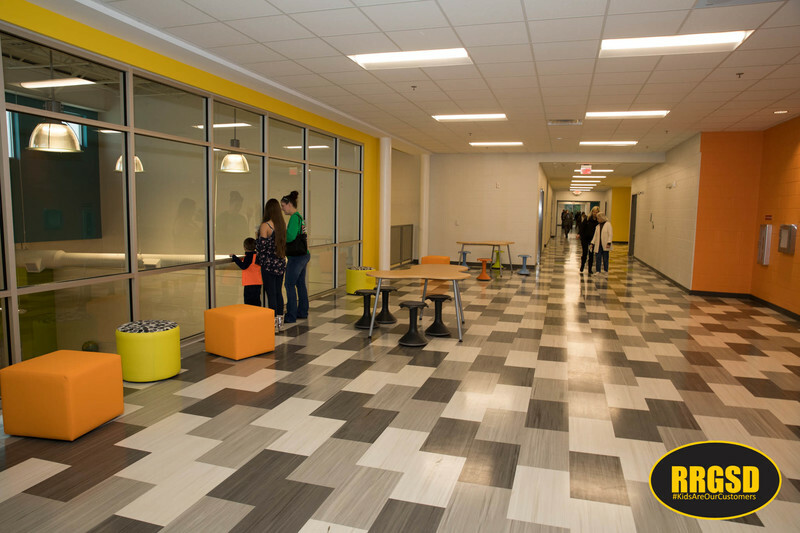 The $19 million facility features wireless technology, advance student and staff safety features, high-efficiency LED lighting, temperature controlled classrooms, and pod spaces on each hall for interactive and collaborative learning. 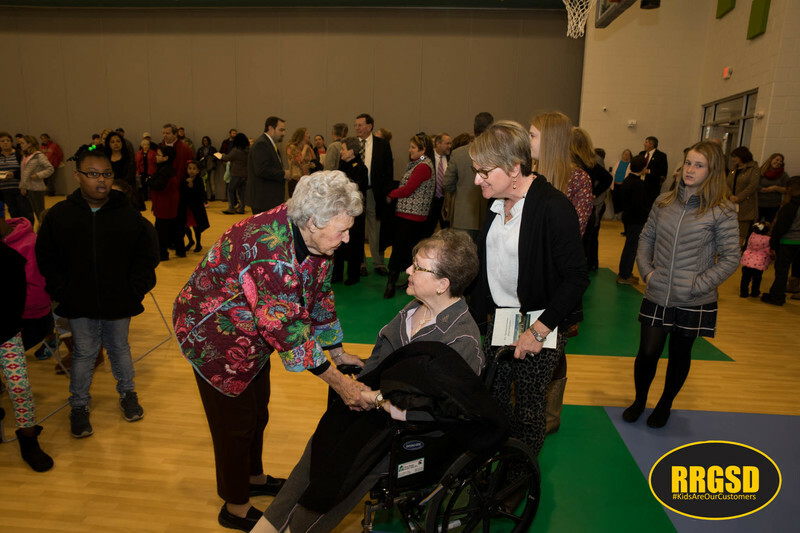 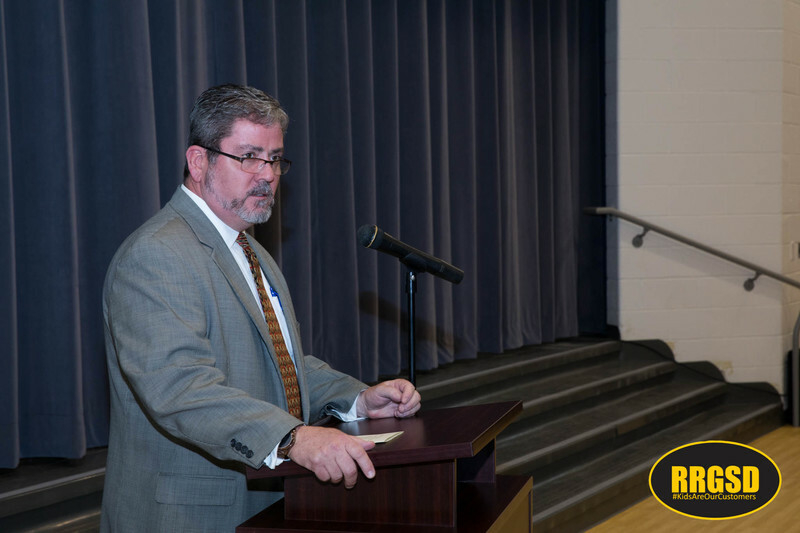 Superintendent Dain Butler told the crowd, “The RRGSD Board of Trustees should be commended for their financial stewardship and vision to create such an opportunity for our community. 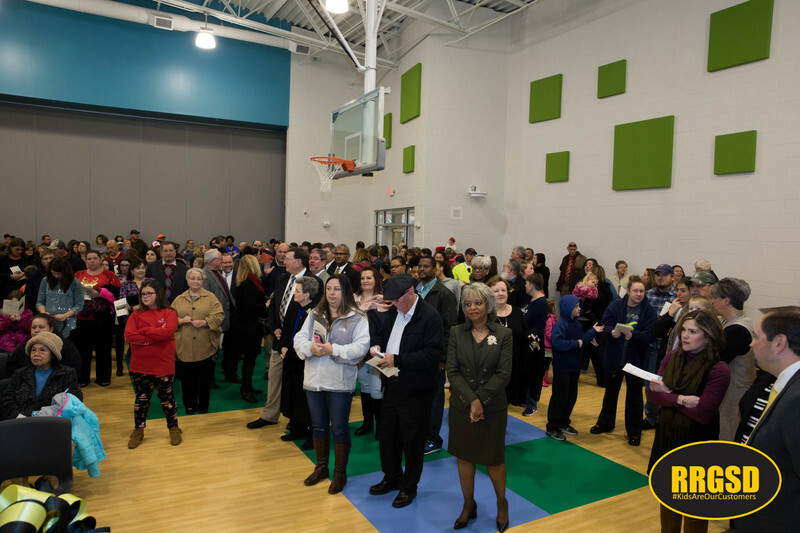 The Halifax County Board of Commissioners should be commended for their trust, leadership, and their guidance throughout this project. 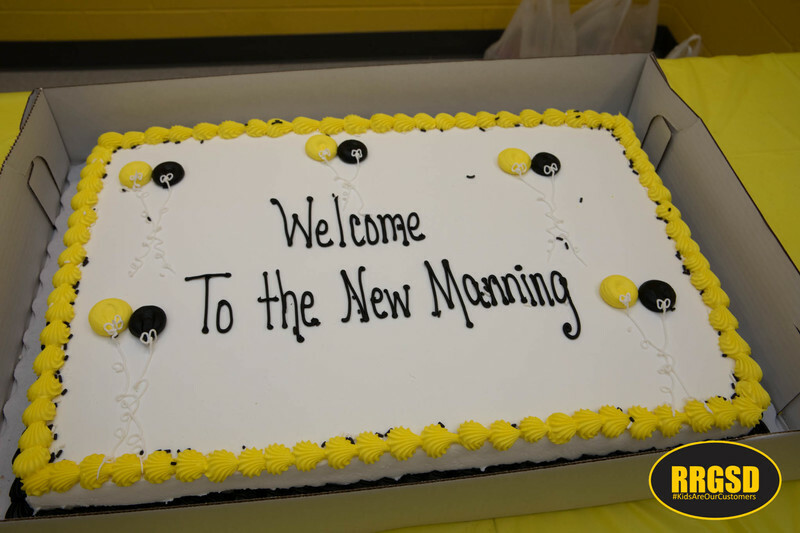 Demolition of the existing Manning Elementary will begin after Christmas to make room for additional parking at the new school.